Happy Tuesday! I don’t have a very good excuse for the brief hiatus I took from blogging so I won’t bother trying to think of one! 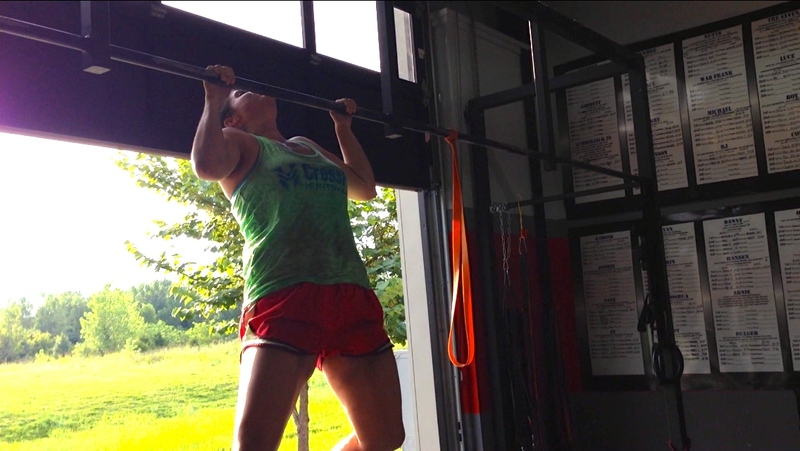 A few weeks ago, I proudly got my first pull up. I immediately posted it on facebook and received a ton of support; thank you! I really really worked hard for it. Since then, I have spent time before and after class practicing. Some days I have them and some days I’m not even close. But, I’m making progress I think! It’s definitely a skill that takes practice and I’m trying to eat up all of the bits of advice everyone is giving me about it. So! because I’m doing a lot of bar work, I wanted to invest in some hand protection as my palms are extremely prone to ripping. No matter what I do, I rip on my callouses and in the middle of my palms almost every time I dangle from the bar for awhile. 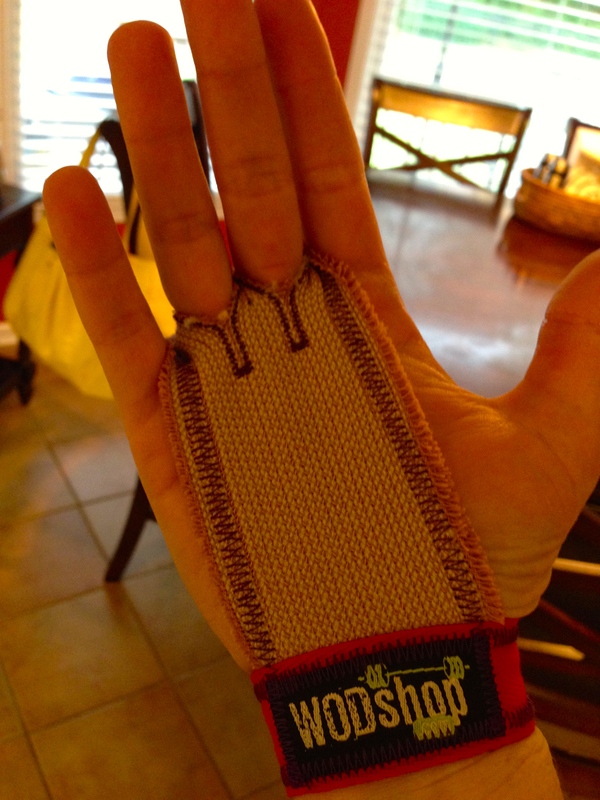 My Coach Tracey recommended these hand grips so I promptly ordered a pair! I got the red and violet because at the time, it was the only color combination they had available in small. But they have a dozen colors to choose from! I like them so far! The material is soft, and you can chalk your hands just fine while wearing them. What’s interesting is that the instant I put them on and jumped onto the bar, I gripped the bar differently. Typically, I wrap all five fingers (including thumb) around the top of the bar instead of wrapping my thumb underneath the bar. I don’t know why, it’s just what has always felt right. However, with these grips on, it prevents me from hanging on with my palm skin (imagine that!) so I’m forced to learn to wrap my thumb underneath the bar, which I believe to be the correct grip (safer anyway). So, it will take me awhile to get that correct grip strength dialed in and no doubt I have new places which need callous development 🙂 But so far, no rips! I was even able to complete my first ever RX toes to bar in a work out. They were slow singles but I managed! 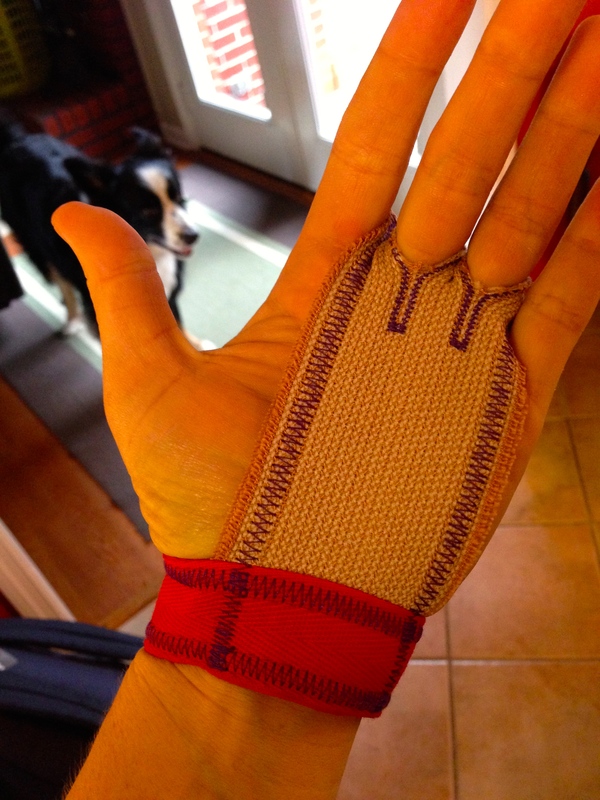 So if you’re looking for some inexpensive hand protection, try these out! The WodShop was a great vendor to order form too! They sent me two coupons with my first purchase; one for me to use again on another purchase and one to give to a friend! Spreading the love is ALWAYS nice. We have been looking at buying some of these. Thanks for the comments.